Willis O’Brien was the pioneer stop-motion animation wizard who fathered the immortal KING KONG . For that alone, he will be remembered as one of Hollywood’s giants. O’Brien started at the dawn of film, working for the Thomas Edison Company. 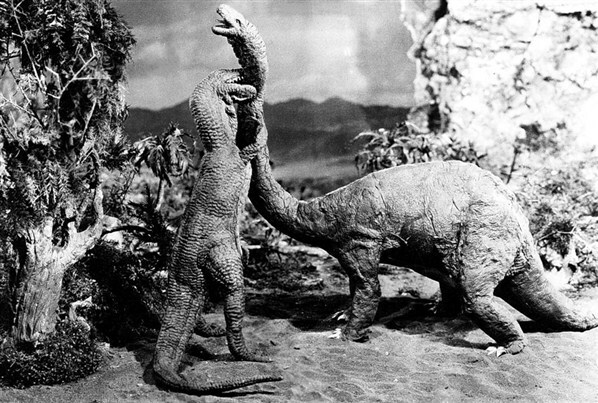 He created an early dinosaur movie THE GHOST OF SLUMBER MOUNTAIN, which was cut down to eleven minutes by one Herbert Dowley, who took credit for O’Brien’s work. His crowning silent achievement was 1925’s THE LOST WORLD, an adaptation of the Arthur Conan Doyle adventure story that astounded filmgoers of the era. That same year, O’Brien married Hazel Collette, who bore him two sons. The O’Brien’s marriage was not a happy one, and they divorced in 1930. Hazel was mentally unstable, and diagnosed with tuberculosis the following year. Willis, whose drinking and philandering contributed to the marriage’s deterioration, remained devoted to his boys, especially young Willis Jr., who was born tubercular, and eventually lost his eyesight. After the success of KONG, O’Brien embarked on the sequel, SON OF KONG, and his sons visited the set to watch dad work. A short time after that visit, Hazel Collette O’Brien took a gun, murdered her own children, and attempted a botched suicide. She died in a Los Angeles prison hospital a year later. 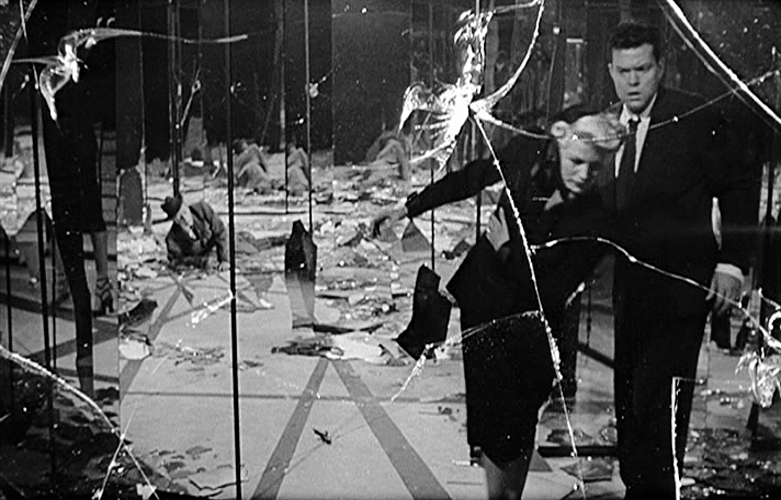 This tragedy seemed to take the heart out of Willis O’Brien. He went back to work with his friend, producer Merian C. Cooper, on THE LAST DAYS OF POMPEII, and did some work on Orson Welles’ classic CITIZEN KANE. But despite a loving and successful remarriage, the rest of his life was filled with unfinished dreams of film projects that never came to fruition. A small comeback was mounted in 1949, when O’Brien and his latest protégé Ray Harryhausen did the special effects for MIGHTY JOE YOUNG, a Cooper production that garnered an Oscar for the film pioneer. But by the late 50’s, Willis O’Brien was reduced to creating effects for low-budget monster movies like THE BLACK SCORPION and THE GIANT BEHEMOTH. 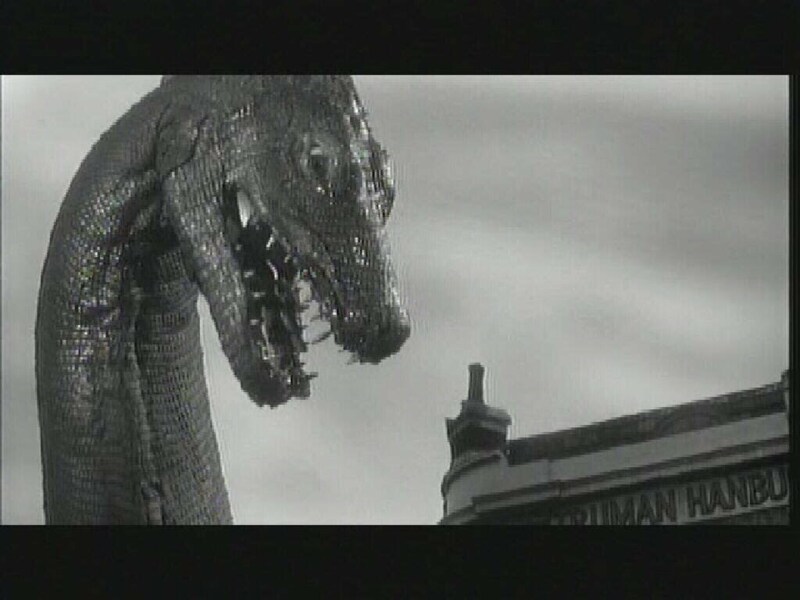 THE GIANT BEHEMOTH was O’Brien’s last “giant monster’ movie. It starts off with a bang: an A-bomb explosion! A group of scientific minds has gathered in Britain to watch footage and hear a lecture from American Marine Biologist Steve Kearns (Gene Evans) on atomic waste. Meanwhile, trouble’s brewing off the coast of Cornwall, as dead fish are washed ashore, and a pulsating mass is causing those near it to burn. Kearns and Professor Bickford (Andre Morell) investigate, and the fish test positive for radiation. Rumors of a “sea monster” run rampant, and when the steamship Valkyrie is found beached with no survivors, Kerns and Bickford are convinced a Behemoth is on the loose! Alerting the local navies of England, France, and Germany, the search for the monster begins. Kearns and Bickford visit eccentric Dr. Sampson (Jack MacGowan ), who helps them identify Behemoth as a prehistoric creature. Behemoth hits land and attacks London, the military is called in (of course), but they’re no match for the berserk Behemoth. It returns to the sea, and Kearns and the forces of good track it down in a sub, blasting it with a torpedo hit and ending Behemoth’s reign of terror (though there’s a neat little twist at the film’s end!). Sound familiar? Hell, yeah. 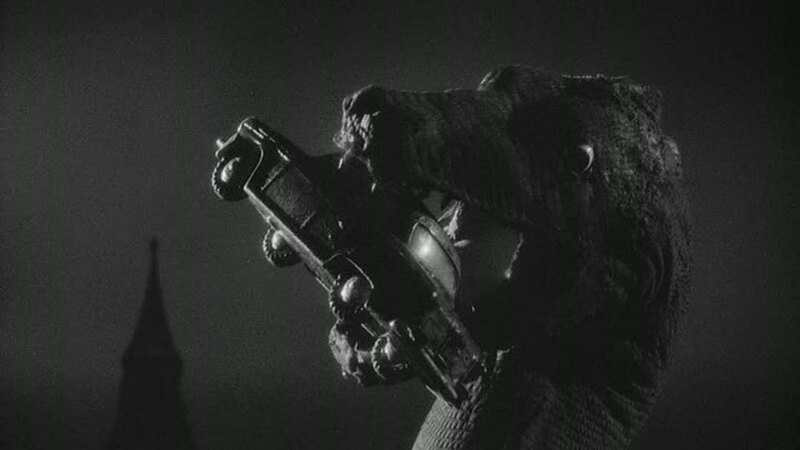 Director Eugene Lourie was brought in to make the original script (from blacklisted writer Daniel James) more like his 1953 hit THE BEAST FROM 20,000 FATHOMS. He certainly succeeded in that respect. Star Gene Evans is about as credible a scientist as I am, but does make a sturdy hero. The acting honors go to MacGowan (THE FEARLESS VAMPIRE KILLERS, THE EXORCIST) as the slightly daft Dr. Sampson. 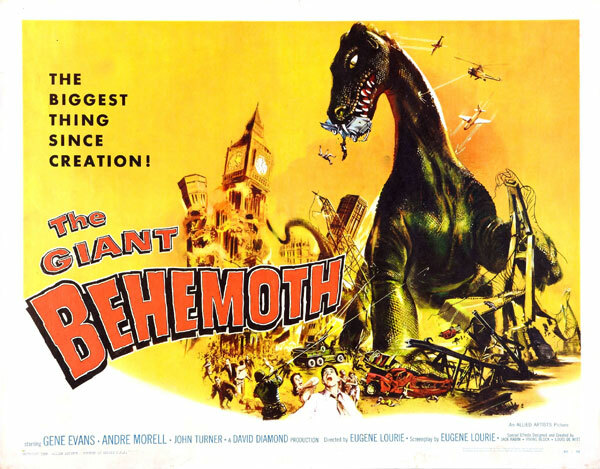 But THE GIANT BEHEMOTH is fun on a Saturday matinée popcorn movie level, and though it’s derivative of Lourie’s other monster movie (and GODZILLA, to a certain extent), it does feature O’Brien’s visual effects. 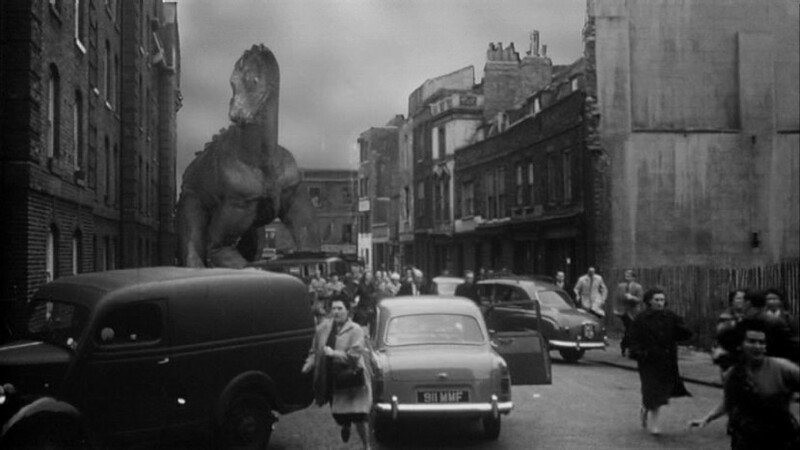 In fact, the scenes of Behemoth terrorizing London stomping on cars and spreading his deadly radioactivity, are the film’s highlights. Willis O’Brien contributed to one more movie, some scenes at the end of IT’S A MAD MAD MAD MAD WORLD , before his death in 1962. His life story is tragic, but his artistry lives on through legendary movies like KING KONG and MIGHTY JOE YOUNG. And as much of a rehash as THE GIANT BEHEMOTH is, it’s still a last chance to see the screen’s mightiest maker of monsters work his magic one last time. TCM aired this a short while ago. Bless the soul who invented the DVR. I’ve been meaning to watch it, just haven’t gotten around to it.